Under our oceans are amazing cities full of life. These underwater cities are home to plants, animals, fish and a dazzling and spectacular array of activities. These living cities are called coral reefs and are the most biologically diverse areas in the world. Corals are actually tiny animals of the group cnidaria (silent “c”). Other cnidarians include hydras, jellyfish, and sea anemones. Corals do not move, but affix themselves in a place and accumulate other corals in a colony that acts as a single organism or coral reef. Corals live in colonies full of individual polyps. Coral polyps are the architects of underwater cities! Polyps secrete hard exoskeletons to support and protect their bodies, laying layers of limestone over layers of limestone. Their underwater architecture creates living habitats for sponges, anemones, plants, seaweed, snails, crustaceans, mollusks, sea snakes and fish. Often called the ‘rain forests’ of the seas, the underwater architecture of coral reefs is home to 25% of all marine species. Some coral colonies are over hundreds and thousands of years and some even millions of years old! Research locations of the world’s major coral reefs. Print a world map and locate and label the reefs. For each reef you labeled on your world map, find out what plants, animals and sea life inhabit each reef. Make watercolor drawings of three different reefs, showing the color, beauty, and diversity of life in underwater cities. Be sure to include both plants and animals. 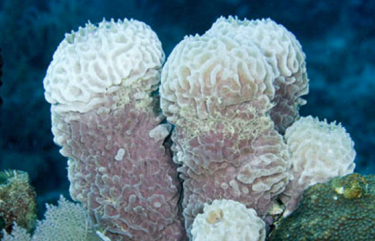 Coral Polyps are underwater architects. These underwater architects belong to the phylum or group that are radially symmetric which means that they are the same all the way around from a central point. Polyps have a central sac with a hole in one end surrounded by stinging tentacles. Jellyfish are cnidaria. Research and draw five different types of cnidaria. 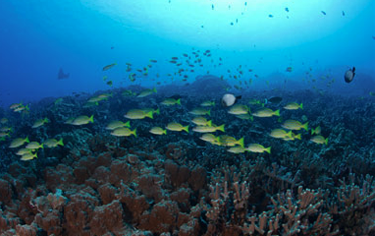 Coral reefs are rich underwater habitats full of many different species. They are home to as many living things as the world’s rainforests. Coral reefs have a symbiotic relationship with the species inhabiting them; both need each other to survive. Using clay and other hard and soft sculpting materials, build a 3-dimensional coral reef complete with at least ten different species of fish, crustaceans, plants and animals. 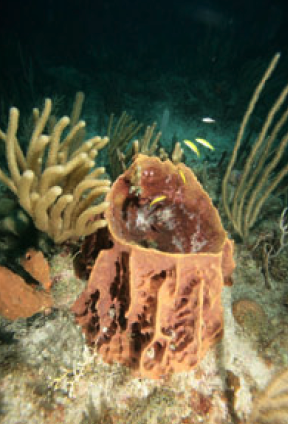 What role do coral reefs play in our world? In what ways do they benefit us? Have any innovations been developed by scientists studying the biodiversity of underwater living cities? 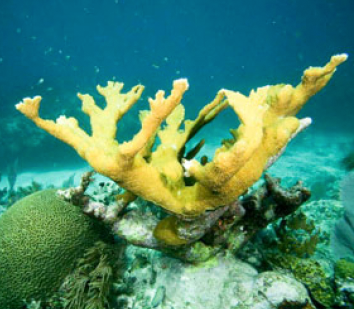 Research coral reefs using the resources linked on this page and write a short paper (two pages) about the role of coral reefs and scientific breakthroughs from the Great Coral Reef. 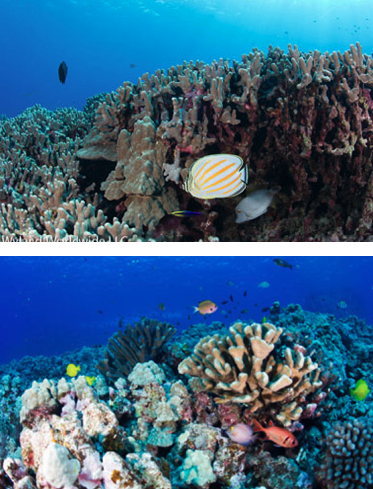 Coral Reefs have a direct impact on our lives. They provide food and medicine, protect coasts from waves and storms, help prevent sea level rise, and generate tourism. Earth’s underwater cities, however, are under attack. Water pollution, overfishing, human development and rising sea temperatures from climate change are changing the life of these important plants and animals. As the levels of carbon dioxide (CO2) rise in the atmosphere, CO2 levels rise in our oceans. Higher CO2 decreases the PH level, causing our oceans to become more acidic. 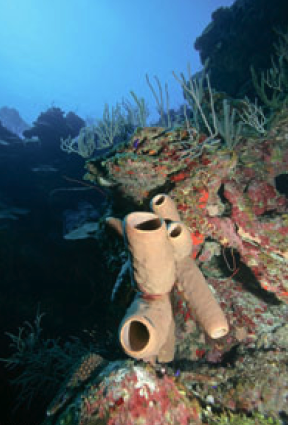 Search the Internet for groups focused on protecting coral reefs. Pick a group that you can join and volunteer. Apply what you learned in the previous activities to volunteer with a group and promote awareness of coral reef protection. Coral reefs are home to ___% of marine life. CO2 levels in the ocean _______________PH levels.